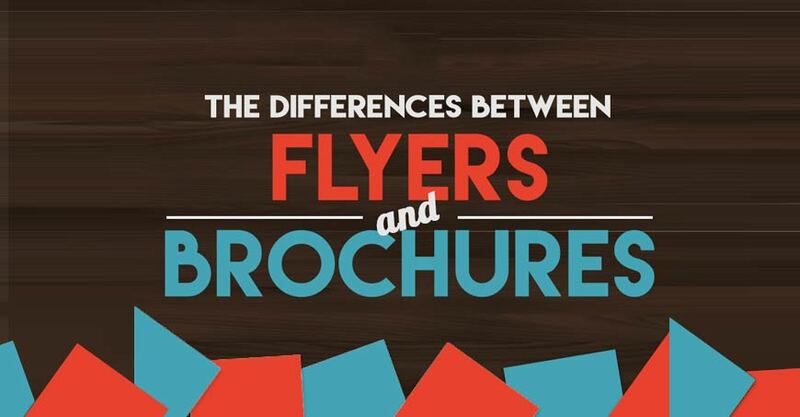 Difference between flyer, brochure flyer, do you know it? They are all three excellent means of communication and above all of the advertising, but one does not replace the other at all. Let’s see why. First of all, as often happens with explanatory articles and guides, we give a quick definition of the three tools. Technical term to indicate an advertising card, generally in A5 format, characterized by attractive graphics and images that intrigue the reader and guarantee, most of the time, participation in the advertised event. The flyer, generally, sponsors exhibitions, events, and clubs. According to the stringent but effective definition of the Google dictionary, the brochure is a short and often luxurious advertising brochure. In more detail, the brochure is a booklet made up of several pages (from a few pages up to a maximum of one hundred) which deals with just one specific subject for increasingly more advertising purposes. The term derives from the French and indicates the binding method. The brochure is, in fact, a bound booklet. Be careful not to confuse it with the brochure said in Italian folding. It has more or less the same function as the leaflet (advertising or propaganda), but the leaflet is folded while the leaflet is an unfolded sheet (often in A5 format). The leaflet can also have the same function as the brochure, or an information-advertising publication made up of several pages. In this case, the difference lies in the fact that the brochure is a set of multiple sheets bound together in perfect paper, while the brochure is a single sheet printed and folded in several parts. Without this introduction with a lot of (short) definitions, let’s see when it is convenient to use the flyer and when, however, it is more relevant to use a flyer or a brochure. If the graph is a real art, it is also true that online are developing more and more intuitive graphics programs or even semi-automatic software for the self-realization of advertising material. Whether you have decided to rely on a professional (always recommended) or you are inclined to (undoubtedly cheaper) do it yourself, it is good that you know what to ask for. Do you need a flyer, a flyer or a brochure? The answer depends and depends, of course, on your business. What do you have to communicate and to whom? You need a brochure or a brochure if you need to inform (with advertising purposes) about a particular topic. For example, the brochures of beauty or medical centers come to mind. The images and texts chosen are particularly significant (and absolutely functional) for the advertising purpose. In short, use this medium if you have a greater budget to devote and especially if your project needs more texts (or more pages) for further study to be understood. If you need to communicate the opening of your new restaurant, surely you will not need a brochure or a brochure. The most common formats for brochures are A3, A4, A5, A6 and long format brochures measuring 21 × 9.9 cm. Other formats can be envelope, book or invitation. The format (standard or customized) and the type of printing determine the final cost of the brochures, together with the graphics, copywriting (writing of advertising / persuasive texts) and the number of prints. You can use a flyer instead, in case you need to quickly inform someone of something (an event, for example, or a new opening). You can print it on a single side or both, you can include a gift or a discount to give to the participants, you can enrich it with text and images … be careful not to overdo it. In this way, you risk creating only great confusion! The web is full of phrases like free templates for flyers, how to create a flyer, create a flyer word. Use them to find the tools you need only if you’re on a zero budget and maybe you do not need a professional product (I do not know, you need flyers for the school party). For all other needs, it is always better to contact professionals, they will know how to create the best flyer, saving you time. Between the two extremes, there is a third way, we will talk about it in the next paragraph. bs. It is not usually used for propaganda or major disclosures as it could be a flyer. In the common parlance, however, the two terms end up resembling so much that they become (even in Wikipedia!) Practically synonymous. In reality, however, it is not exactly like that. The flyer can also be that of the supermarket. The flyer is anything but. It’s that flyer capable of sponsoring an exhibition, an evening at the disco. Paper weight is important in the flyer (in addition to graphics and text). They are generally printed in cardboard and the most common format is A5. The print can be on one side or both. In this second case, a facade is used to write the explanatory contents and the other side to advertise the promotion. All with a decidedly more engaging graphics than that of a simple flyer. A professional always serves. Just to create professional products and since flyers, flyers, and brochures are used to advertise your idea and your business and to guarantee at least a return of image, must be as professional as possible. However, in the previous paragraph, we mentioned a third way, between the graphics professional and the do-it-yourself. The third way is characterized by those programs and web applications that, through a wizard, allowing you to “design” your advertising material, within certain standard limits. And then to print it (with home delivery) directly from online print shops. Use this technique sparingly and just if you’re on a zero budget or if you need amateur material. They have usually guided procedures through a pre-loaded graphics suite on portals that offer online printing services (with home delivery). They do not allow, though useful in certain cases, a graphics customization, but only to upload images, write texts, choose color and font among those available. Author Bio: Jenifer is a girl of honor who has received a lot of popularity and is a senior video animator in Video Cubix. She has done her graduation from America and now serving as an animator. 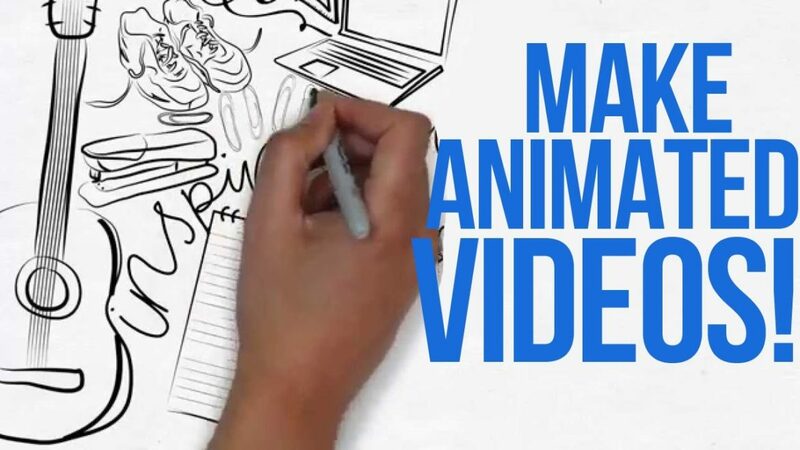 Making a video animation that is able to generate the right involvement is the desire of all those who believe in the power of video marketing. If you have any doubts about what the ideal length of your videos might be, you’d better read this article thoroughly (and then ask yourself the right questions). What usually happens when you talk about the ideal length of a video is that you end up early with reasoning on statistics and numbers. You’ll surely have heard that the average user’s attention collapses immediately after the first eight seconds of viewing. And you will also have read that the duration of the best performing videos on YouTube revolves around three minutes. The conclusion, therefore, would seem rather obvious. Answering this question is not so immediate. The fault, however, does not lie in the fact that complex explanations or reasoning are necessary, but simply that the question is misplaced. It is certainly beyond question that the modern user favors short content that goes straight to the point. This is not only valid for video animations, but also for blog articles. The people of the web have little attention, little time and billions of information to deal with every day. Today, to give an example, a person can keep himself updated on a certain topic through videos, social and blogs from any corner of the planet. All with a handful of clicks. In such a chaotic and congested context of communication, it is undeniable that short and synthetic messages have more possibilities than longer ones. But the real question you should have, in fact, should not be about the minutes of your videos. What is the information your users are looking for? What kind of answer do you think you want to give? For each topic, there are thousands of possible insights. When you decide to tackle a certain topic, the first thing you should check is not how long you talk about it, but what users expect to find. Putting the needs of your audience at the center of your communication strategies is always the winning card, even in the case of videos. Do not forget. Returning to the first question, therefore, we assume that people are looking for someone who can explain to them in depth how to do something they deem important. Well, in this case you are sure that they will also enjoy long videos, as long as they are rich in value and support. If, on the contrary, what they need is just a little ‘healthy entertainment, or details that do not require too many words, be as concise as you can. If you intend to make a video that presents your services within a dedicated landing page, for example, try to put yourself in the shoes of your client: how much information you need to transmit to generate trust, clarify doubts and encourage people to contact your company? To answer the question, you must have your target in mind: who is, what you are looking for, what is expected of you, how informed you are on the topic of reference. Once you have identified the needs of your user the game returns to your hands, and here we pass to the second question. You may decide to respond with a 60-90 second video that knows how to intrigue or amuse: short duration, high emotional involvement and, most likely, limited depth. If you want to focus on providing accurate and meticulous information, do not be afraid to extend the length of your videos. In this case, you just have to be careful to keep the interest high for the duration.